According to On MSFT, though the company founded by Bill Gates has been trying to improve Microsoft Edge for years, the browser built from scratch for Windows 10 is still struggling to gain market share on its operating system. Desktop. Last month, Net Applications said Edge was only used by one-sixth of Windows 10 users, with more than 60% running with Google Chrome. This could be a good time for Microsoft to come up with a series of ads that explain why Edge is better than its competitors last week. In the first video, the video was played by three Surface Book’s Windows 10 Fall Creators Update on three different browsers. 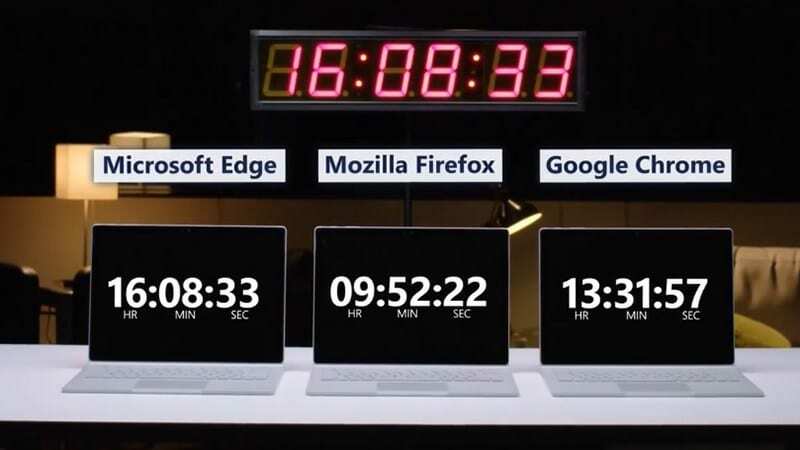 As a result, the Edge has the longest movie playback time of 16 hours 8 minutes, 63% more than Mozilla Firefox (9 hours 52 minutes) and 19% of Google Chrome (13 hours 31 minutes). Second ad video explicitly targeted to Google Chrome, Microsoft claims Edge has 48% faster download speed and 18% better-blocking sites than Google’s browser. Undoubtedly, Edge has its own values, especially for those who watch a lot of video content on the web. Edge is not only more energy efficient, but it is also the only browser that allows you to watch 4K Ultra UD video with HDR technology and Dolby Audio. Edge also comes with handy features for previewing, grouping and saving tabs as well as allowing you to attach your website to the taskbar on Windows 10. 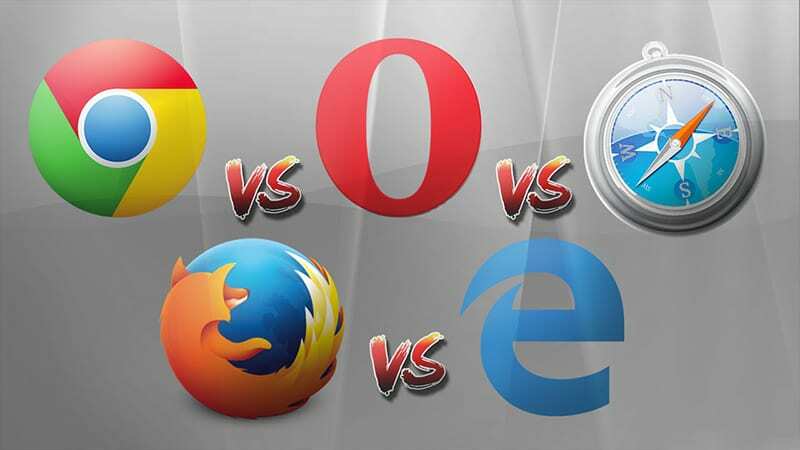 However, despite the fact that Microsoft is giving more quality proof of the Edge, Google Chrome and Mozilla Firefox are still gaining market share. These two browsers are also updated more frequently than products from Microsoft. The release of Edge for iOS and Android can help Microsoft gain market share from Windows 10 users, but to catch up with Google Chrome, it still has to go through a long journey. However, you need to see How To Mirror iOS Device, “iPhone/iPad” To Windows 10. Edge should be avoided. It was easily hacked at Pawned last year getting penetrated over and over again. Only browser unhackable was Chrome. But really using any other browser besides Edge and you would be far better off.